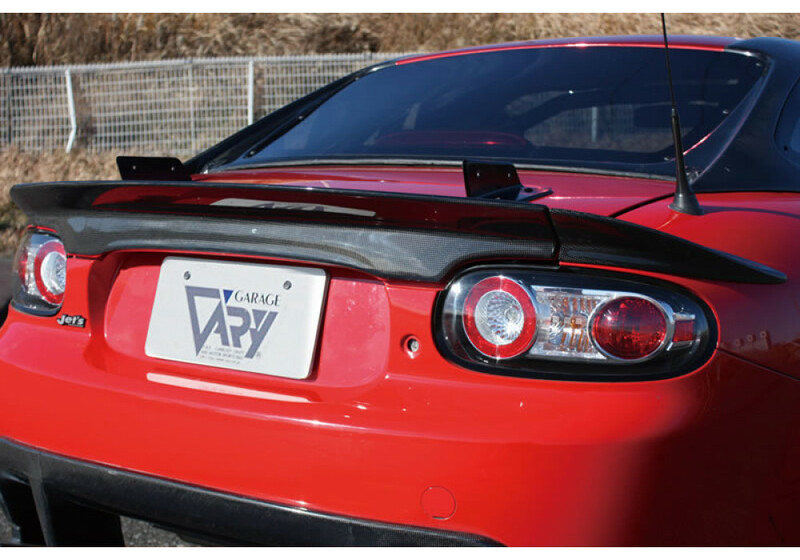 Rear spoiler made by Garage Vary for the non-PRHT NC MX-5 Miatas (2006-2015). 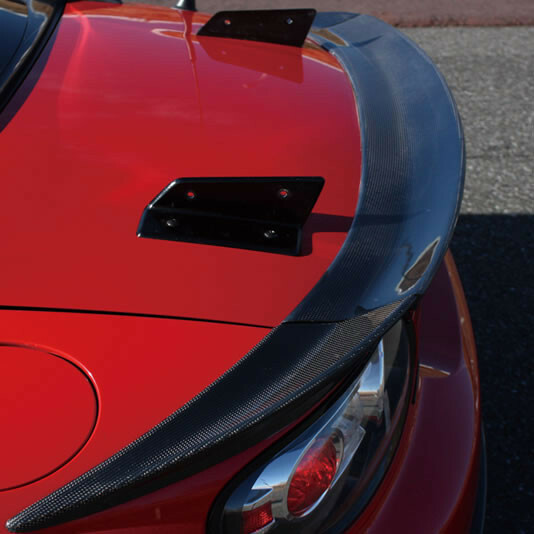 It’s made of 3 pieces so the trunk weight is not affected so much and provides a nice, wide and aggressive look to the back of the vehicle. 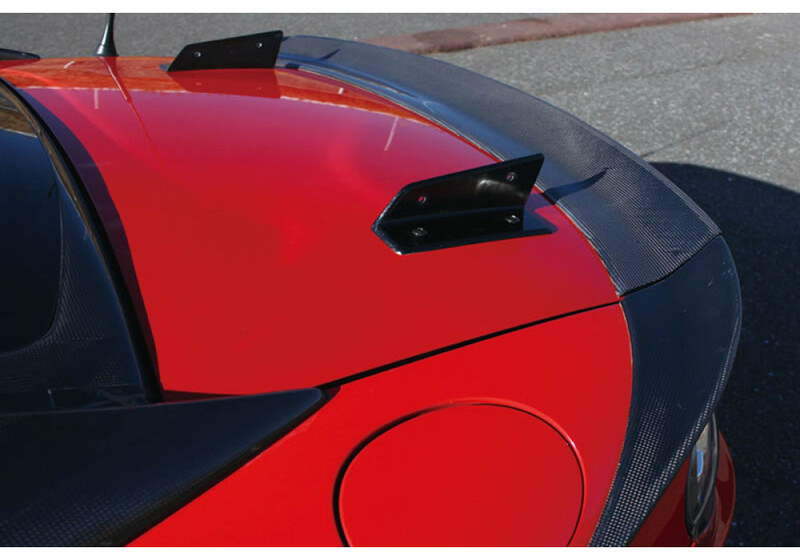 Please note that the picture shows GT Wing mounts on the trunk, these are not included. 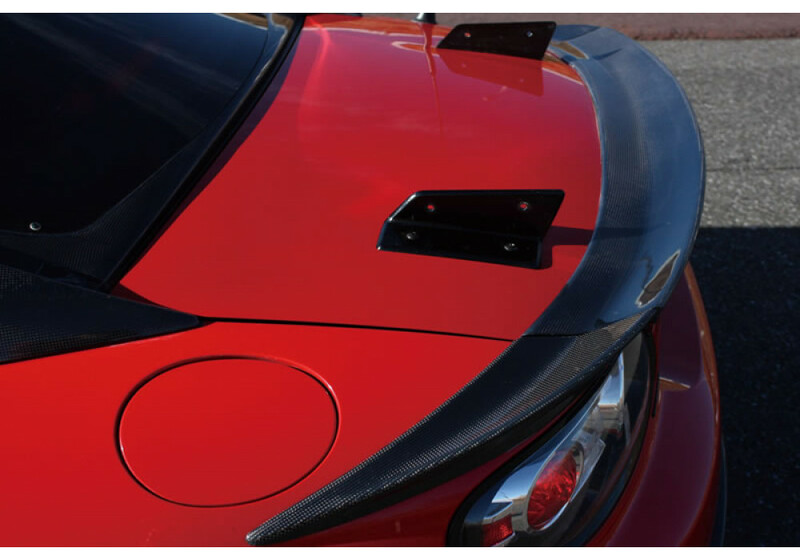 Garage Vary Type-S Ducktail Spoiler should be ordered at REV9 Autosport https://rev9autosport.com/garage-vary-type-s-ducktail-spoiler.html as they provide the best service and speed we've seen so far!